A Savvy Life: UPDATE - I am NOT an Extreme Couponer!!! UPDATE - I am NOT an Extreme Couponer!!! Newspaper policy is that they ONLY sell Sunday papers, as required by SmartSource (News America) and Valassis, and actually have to sign a legal affidavit verifying that they destroy any remaining coupons. This is required of them by the coupon manufacturers. They do not and CAN NOT give them away or throw them away. And don't even think about dumpster diving for coupons as it is illegal, and considered criminal trespassing, in most cities. And FYI - they are actually required to destroy and bale the coupons after all subscriber homes have received their inserts. The shoppers you may have seen on Extreme Couponing not only encouraged newspaper carriers to break legal contracts, but quite obviously were given significant leeway by the stores in which they shopped for publicity's sake, again, not so legal. The shopper in Bethesda MD who showed extra newspaper coupons being delivered to her home has just put the coupon contract of her newspaper in serious jeopardy. I'd be surprised if News America and Valassis haven't started an audit process already. My guess is that every newspaper in America will soon have an audit to verify that all contracts are being strictly enforced. Do you like receiving coupons in your Sunday paper? If the answer is yes then don't ask newspapers to bend the rules for you or find "unethical" ways to acquire more. If you do any of these things, it is within the legal right of the insert companies to pull all inserts out of a newspaper on a moments notice or refuse to renew contracts at the end of the quarter. I love couponing and never want to see the savings end (the reasonable savings that is) so please, please, please stop this madness. Madness I say, because while I certainly believe in being prepared in your own homes with a good amount of food storage, I also know that almost every item in every store goes on sale at least once every 3 months. That means you never need to buy a years worth of anything (or a 15 year supply of mustard) in one shopping trip. Shopping for your family in 3 month increments is not only doable physically, but also financially. If you'd like to learn how to save 50-80% over retail prices at the grocery store, in a common sense and realistic way, come to my Free Savvy Shopping 101 Class in Provo on April 28th or contact one of my awesome Savvy Shopper Instructors to help you find a free class throughout the state of Utah. Your interest may be peaked in watching this television show just to gawk at the "crazies", but even watching the show once helps the television network make money. Just stay away and watch some healthy, and even uplifting, television instead. It's not worth wasting your time or lining the pockets of a show which reflects negatively on all of us ethical couponers. 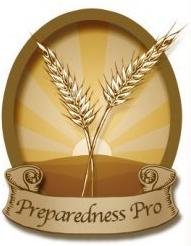 Finally, a shout out to my friend Kellene from PreparednessPro who stood up to the producers of this show when they asked her if she would be filmed for a segment and then act in a way that wasn't in her character. Bravo Kellene for trying to portray couponers in a positive light - even when it was a fight to do so! (P.S. I can appreciate that after their segments aired that many of these couponers claimed to have given their purchases away to charity. I believe this could be true in some cases, but how many do you think are just trying to save face after the negative push back they've felt or only gave it away to avoid looking overly greedy? thanks for this info. I've watched the Extreme Couponers show and was feeling bad that I hadn't yet had the guts to ask places if they would donate their unpurchased newspapers to me. Relieved to know that this is not even a legal option. You say it like it is, and thank you for standing up for the upstanding couponers. Thank you!! I love this post. So informative. Maybe you could print this in the paper to get the message out to those who maybe don't see your blog. I don't want to see inserts taken from the paper. I love using coupons (the legal way)! Yea for Amy! I really hope these extreme couponers are the minority and that they don't encourage others to act the same way. Definitely will stop watching now. It's so nice to hear someone stand up for what's right! Follow the rules? What a concept! I just read an interesting blog post about one of the episode's with J'aime. Apparently she was using coupons for one item, on another item with the same barcode! She's committing fraud! AND she's teaching other people how to do the same thing, and charging them $30 for it! I sincerely hope that her poor choices don't make it harder for the rest of us who are just trying to get great deals on groceries for our families. Amen Sister! Very well said! Ivy - I heard the same thing! Almost every coupon she used in the segment had to be manually overriden if you noticed. Bully couponers are Shameful!!!! So what do I do if my Sunday paper didn't come with the coupon inserts it was supposed to have for that week? This happened back in January when there were supposed to be 3 inserts. I figured it was a lost cause and didn't pursue it. Is there anything I can do? Or by the time I get ahold of the paper Monday morning all the coupon inserts are toast? 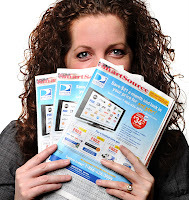 Melissa - that far back the coupons are gone, but if you miss any coupons in the future, please call your local paper and ask them to redeliver your coupons. Most papers save the coupons for a couple weeks to ensure any missed homes can still get what they paid for. You could also call and ask to be credited for the paper which didn't have the coupons. I actually enjoyed the show and it encouraged me to try to get back at couponing again. I need to save money on groceries and this motivated me to get online and look for coupons. I was one who did call the paper to ask about inserts and was told about the rule. So the next call was asking about subscriptions. Not a big deal. Melissa, I have had that happen and you can just go onto the Daily Herald's website and file a complain about delivery. If you type in the specific inserts that were missing they will deliver them to your door. They are really fast about it (although my newspaper lady acts like I am totally putting her out and then looks at the six papers I received like I am being greedy or something). Anyway, the DH in general is awesome about making sure your missing coupons get to you QUICKLY (like within two hours if you notify them first thing Sunday morning). Amy, I was just wondering if you know how all of these coupon clipping websites get their massive amounts of coupons since this seems to be where these extreme couponers get all of their coupons. Lyndee - Glad you subscribed - you'll save tons of money without overwhelming yourself with massive amounts of coupons. Is it possible coupon clipping sites buy their "massive amounts of coupons" from Valassis? Maybe they have a legitimate contract with them, also. Amy thank you so much for posting this. I saw so many issues when I watched 1/2 of a show. I will be sharing this blog with friends who asked how to coupon. That show gives such a false sense of couponing and saving money. You are awesome and Im grateful for your integrity. Amyandalex - it is my understanding that is not the case in many instances - though I am not involved in their business practices. I have heard that most of them have inside contacts with Post Offices, Newspapers etc... It doesn't make sense that the Valassis folks would want their product sold - especially when their contracts exclude it. Also, if you notice they say they aren't "selling" coupons, but rather their time in cutting them out. Huh... So why does it cost more money to "cut out" higher value coupons? I should also say that I do believe some of these sites do buy the newspapers, because they can still make tons of money by selling individual coupons to consumers even after paying for the paper. But I've also heard most of them also employ "other" tactics to get the coupons. You know what Amyandalex - I'm going to try and figure out the inside scoop on that one. I've always relied on what other folks/blogs say (which I hate doing - I'd rather know for myself) about the legality of selling coupons when I actually have my own Valassis and New America Reps. I'll get to the bottom of this and post about it. I am so glad you posted this. I live in Idaho now I am so glad I was introduced to couponing by you. I always refer back to what you taught me. I am sorry if I am being redundant, but I didn't see this addressed yet. Some stores in my area will not accept computer printed coupons, I suppose they have gotten burned in the past from some that are fake. Do I as a consumer have any rights if I get mine legally/ethically from a computer site and the store policy is not to not accept them? Mary- Unfortunately it doesn't matter that you printed your coupons legally. It's up to each individual store as to how they want to handle coupons and it sounds like your store has decided against accepting printables. Sad! It's too bad the bad eggs ruin it for the rest of us sometimes. A Savvy Tip: Buying Coupons Online Is Illegal! I am NOT an Extreme Couponer!! !